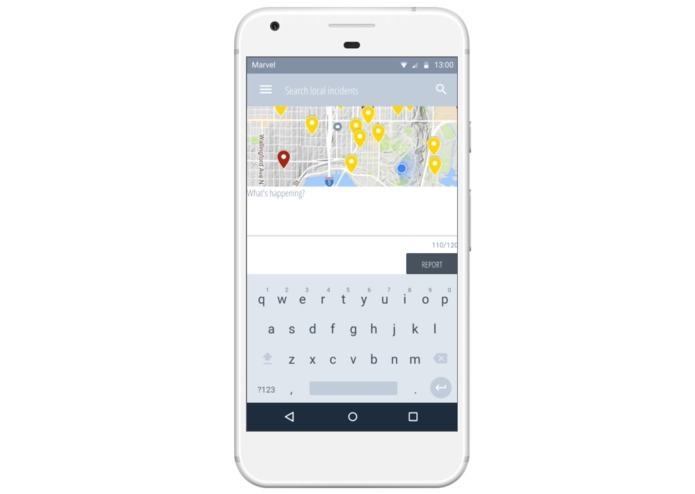 The map allows users to see reported incidents. Yellow pins are community reported and red pins are police reported. Authenticated users can submit incident reports to keep others aware. "A group of drunk guys catcalled me on 45th and 18th", for example. 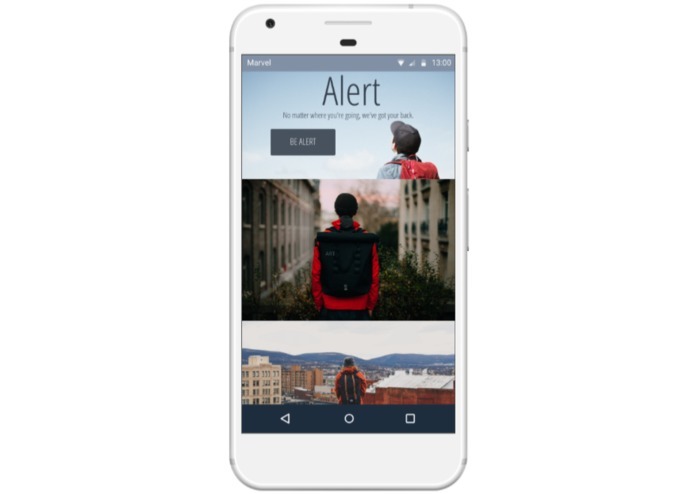 Introducing Alert: a personal safety system that leverages crowdsourcing to keep the campus community informed, in tandem with a smart backpack that alerts you to potential physical threats and contains an easily accessible alarm system in case of attack. Skip to the bottom for features! Walking home from campus late at night is a necessity. But I’m often alone, which means I text a roommate that we’ll be home in 30 minutes. I walk with my phone in one hand and pepper spray in the other, and I constantly check over my shoulder to see if anyone’s behind me. We students – especially women - do this out of necessity. Every few days, a UW alert reports an incident. Just last week, a girl was assaulted in her UW dorm room after someone followed her in at night. Our friend was mugged at knifepoint last year just a few blocks north of campus. And there are more subtle instances too, that you don’t necessarily report but make you more than a little uncomfortable. The drunk group of guys that catcall and make a few steps towards you as you walk past. There have been a lot of steps taken to make the campus community safer, but there are also a lot of problems. The police tweets and emails incident reports, but emails come days later and if you're walking home you're probably not checking the Seattle PD Twitter feed. There are apps out there that let a trusted friend virtually “walk” you home and will notify them if you start running, or if you fall to the ground. There are apps with a panic button on your phone that will call the friend – but what if your phone gets knocked out of your hand? What if you don’t have time to unlock it? 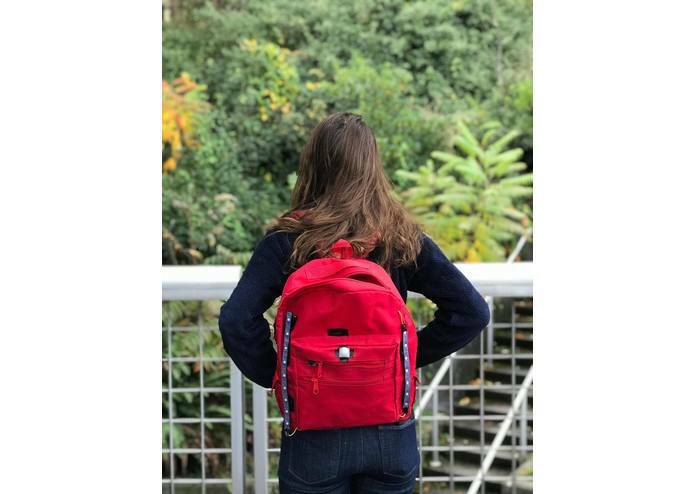 That’s why we built Alert: a personal safety system that leverages crowdsourcing to keep the campus community informed, in tandem with a smart backpack that alerts you to potential physical threats and contains an easily accessible alarm system in case of attack. 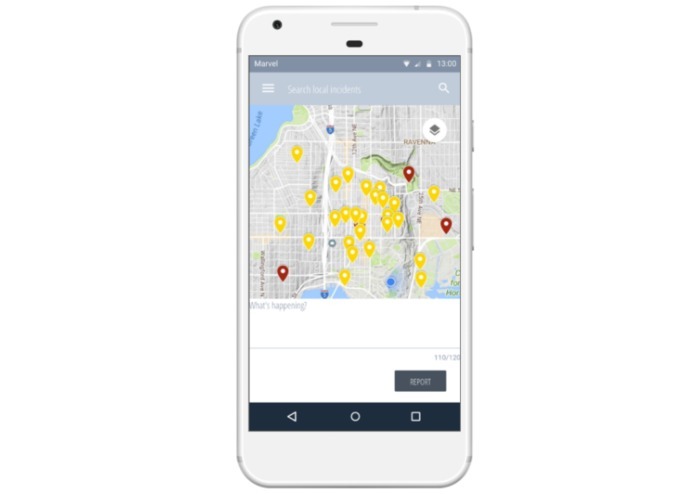 When walking and coming across a situation you want to alert others about, pull up the app to drop a location pin and type a quick report – “A group of drunk guys hanging out and shouting lewd comments on 45th and 18th”. 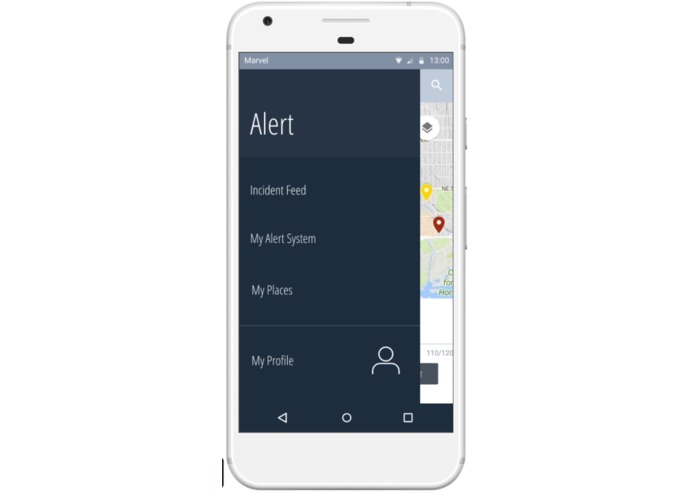 This crowdsourced data populates a map available to anyone with the Alert app. The map is also populated by UW PD and Seattle PD incident reports. 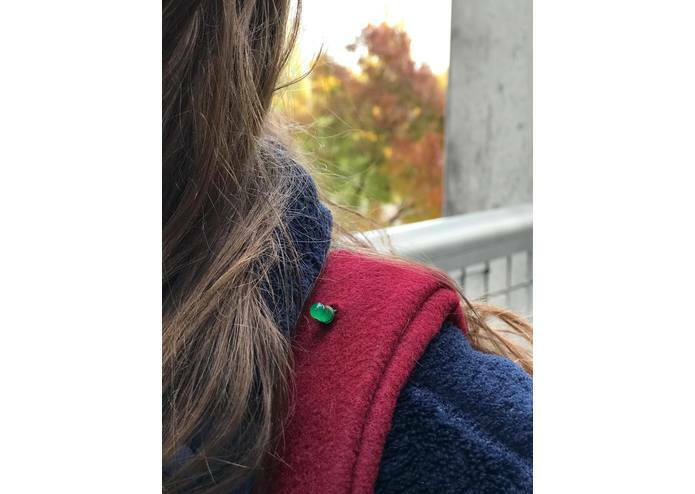 When you come within 30 meters of a recently dropped incident pin – by the police or a community member – a notification LED on the backpack strap will light up. 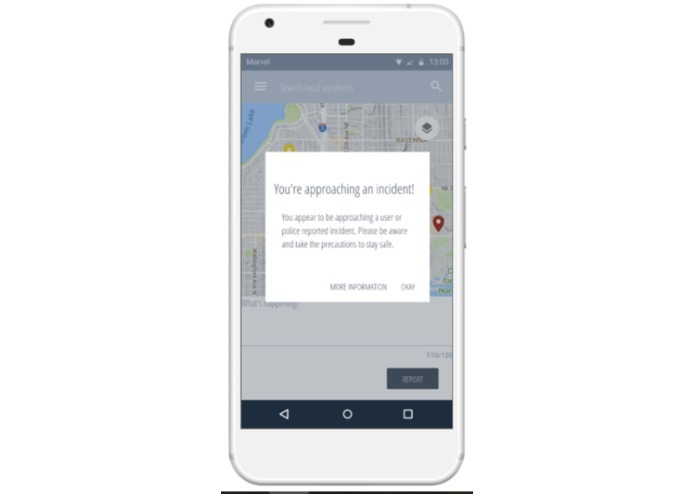 This tells you to check your app and potentially take a different route to avoid the incident reported earlier. If the infrared sensor on the backpack detects a person behind you, the notification LED will also light up. This tells you to look around and stay aware, making you more ready to fend off a threat. 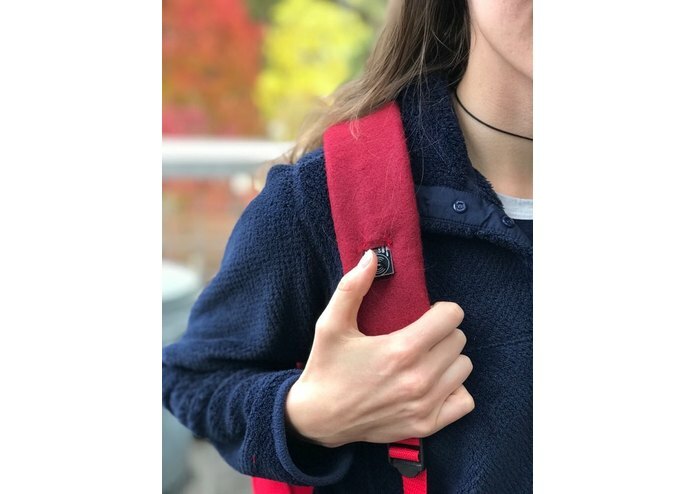 If the situation escalates and you feel unsafe, a quick touch to the backpack strap will set off an alarm and flashing lights, as well as activating a phone call to your trusted contact or the police. Homes with visible security systems and security signs in the front lawn deter robbers; flashing lights and an alarm draws attention to the scene, making you a less worthwhile risk for an attacker. 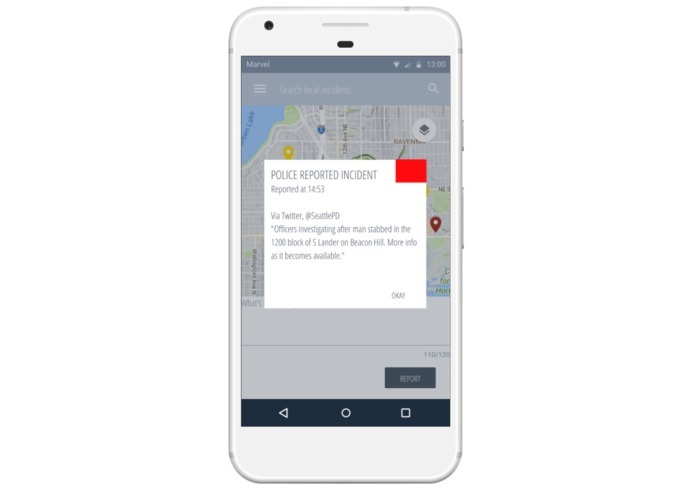 Alert is a preventative rather than reactive system that aims to keep our local campus community safer. No matter where you’re going, we have your back. I was the team PM (ideation and pitch) as well as working on the Arduino hardware for the backpack. I worked on the idea and overall pitch, the prototype app developed in Marvel, and the actual hardware of the backpack itself.